Sherry Bolds contacted me back in August to Coach her through the Accreditation Process. In fact, in our recent telephone conversations, I could tell that Sherry wanted to set a higher standard for her staff and she was ready to take her school to another level. 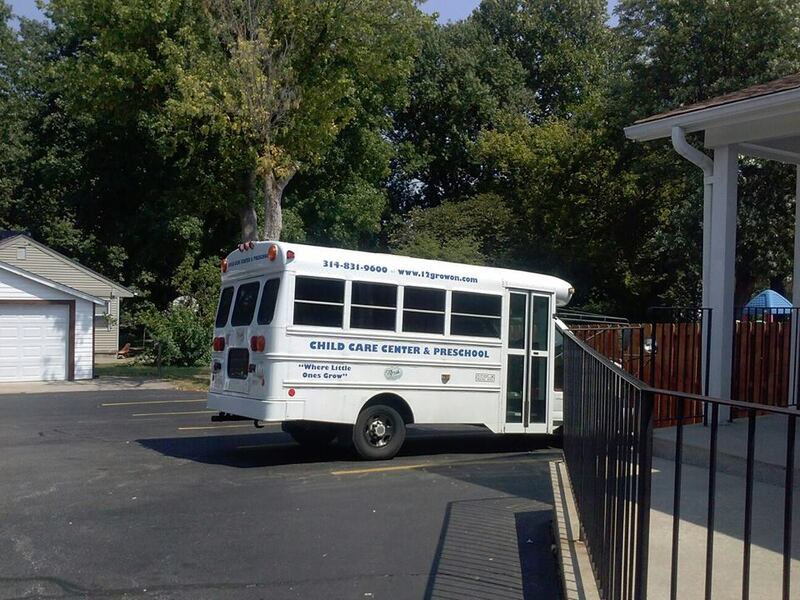 Operating a Licensed Child Care Center is required, however, Operating an Accredited Child Care Business is a choice. In fact, when you decide to go through the Accreditation process; you decide to do the work that it takes to build a high quality Child Care Business for young children. My first visit to Sherry’s center was so exciting. Moreover, I was amazed at her sign in front of her building. Moreover, Sherry’s sign is colorful, bright, bold and it stands out. 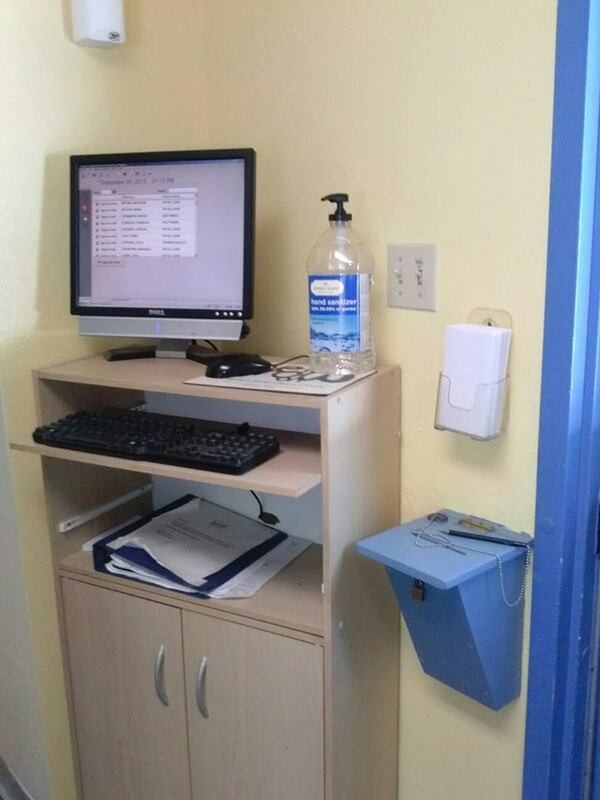 Upon entering Sherry’s center, you must be buzzed into the building, which is a great way to keep children safe and monitor visitors. I have been working with Sherry and her Staff since August 12, 2013 on the self-study process of Accreditation. The teachers are very eager to learn new information and work to improve their classrooms. Moreover, I really enjoy the weekly coaching calls and providing the staff with resources to improve their classrooms. Sherry and I talk on the phone every day and text at least once a day. We talk about the Accreditation process, any discuss challenges, we laugh and sometimes disagree, however, our ultimate goal is to get One to Grow on Accredited. Sherry has a large center, however, she is able to manage the staff, talk with parents, answer phones, monitor video cameras, mentor staff and work on meeting Accreditation requirements. Now that’s a busy Child Care Business Owner! Children wash hands before/after water play and so much more! 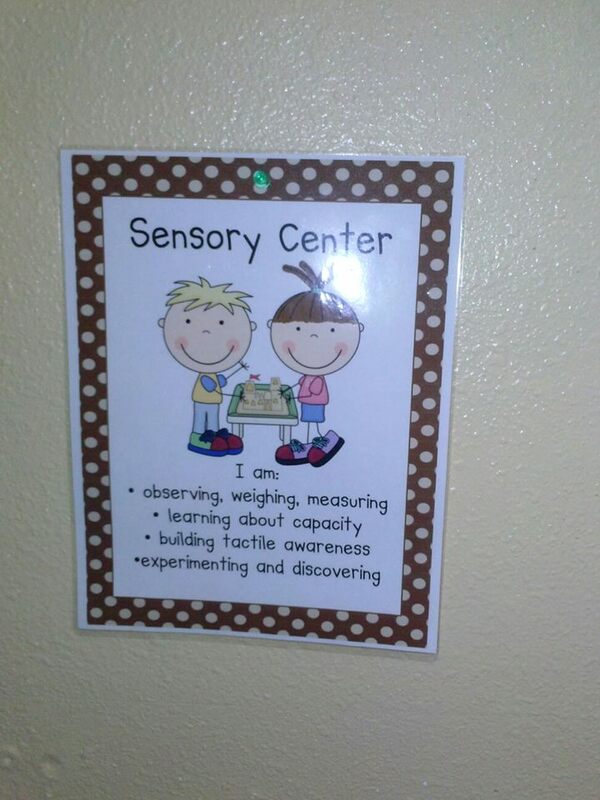 I just issued Physical Environment Recommendations and so far, the teachers have clearly defined learning centers in their classrooms and are working on other areas on their self-study. 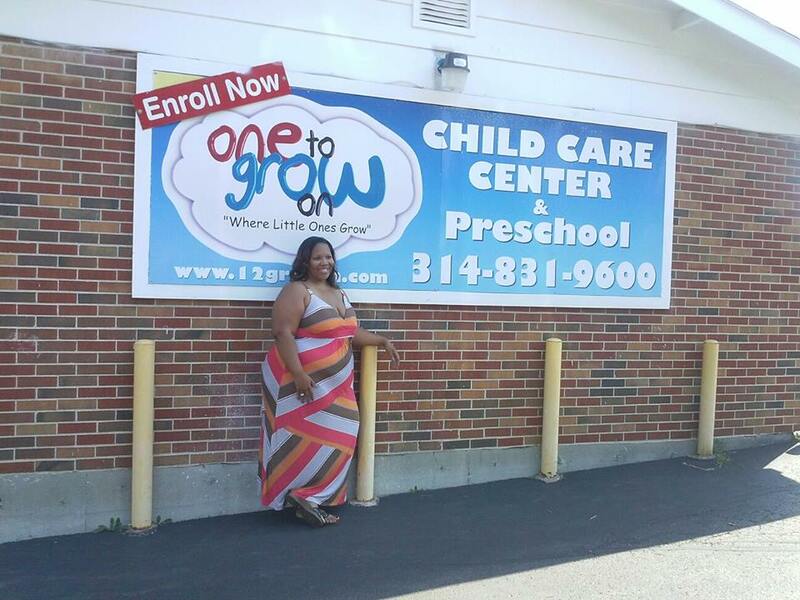 The Accreditation journey is just beginning for One to Grow on and I believe that One to Grow on is on their way to being an Accredited Child Care Center. I want to say Congratulations to you Mrs. Sherry; thanks for choosing me to be your Coach and I look forward to seeing you hold your Accreditation Certificate in your hand! 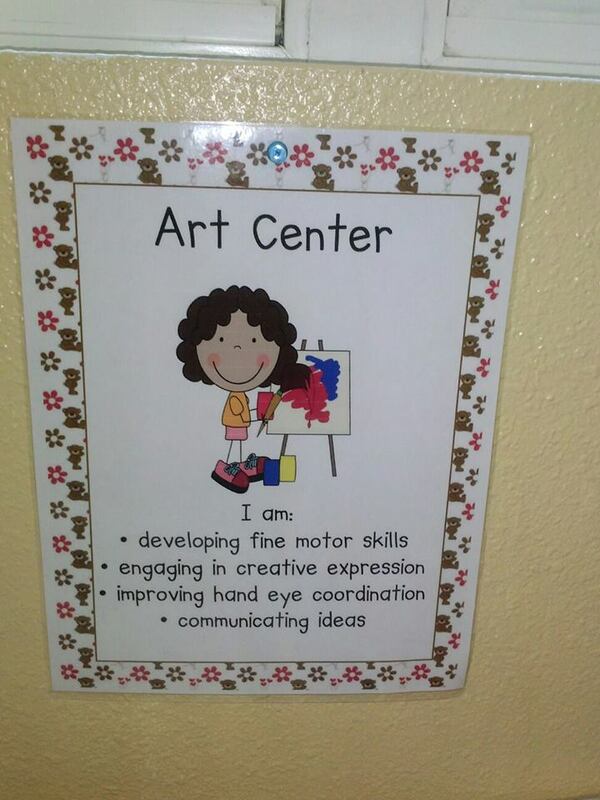 Below are photos of Mrs. Sherry’s Center. 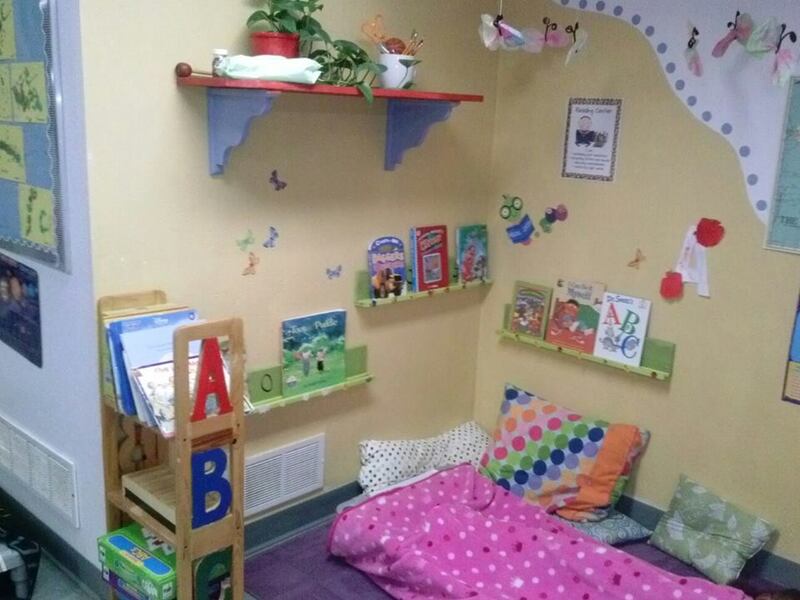 This corner used to be a computer corner in the 4-year old Class and Ms. Charlene created a cozy reading corner. 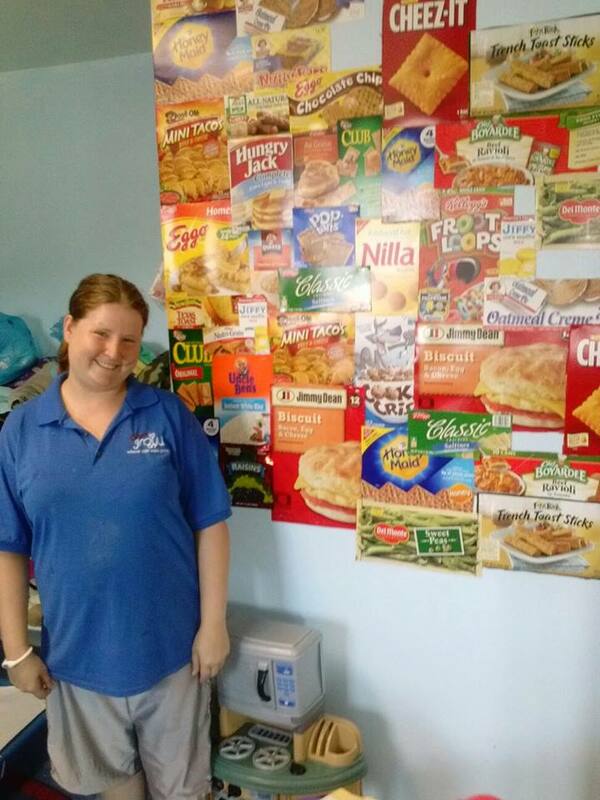 I love this bulletin board! 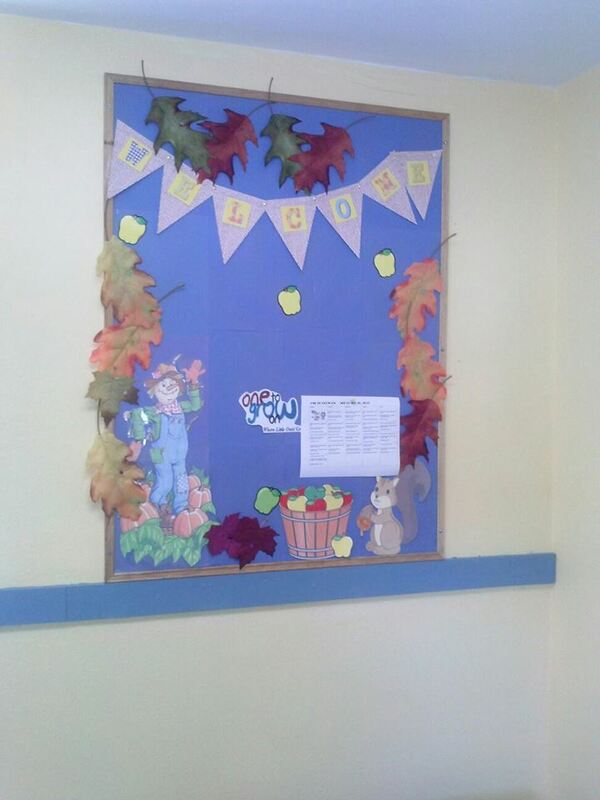 In fact, this wall used to be filled with photos, now parents are welcomed with this wonderful fall related board. 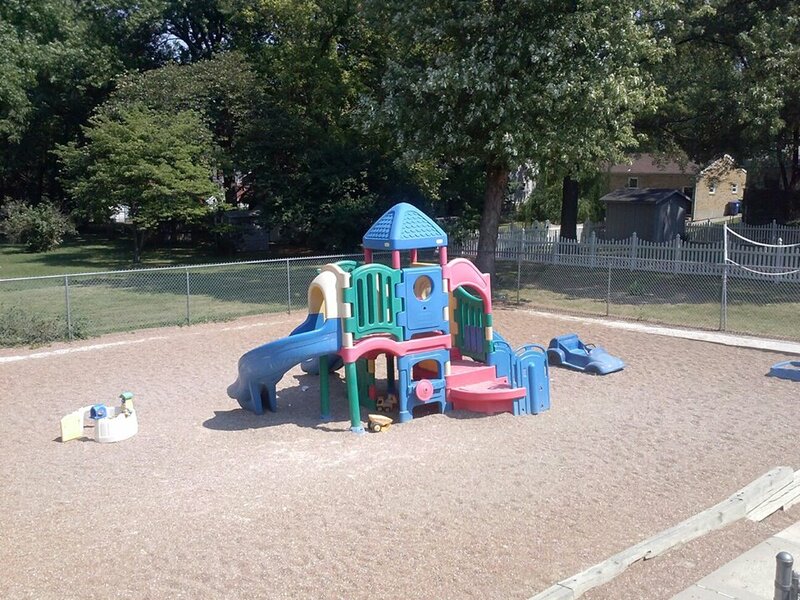 I just love all the space that Sherry has on her playground! She will be adding sand boxes soon. Computerized Sign-in area and tuition box. Ms. Karen is the 2-year old teacher and she was showing me her wall collage near the dramatic play area. 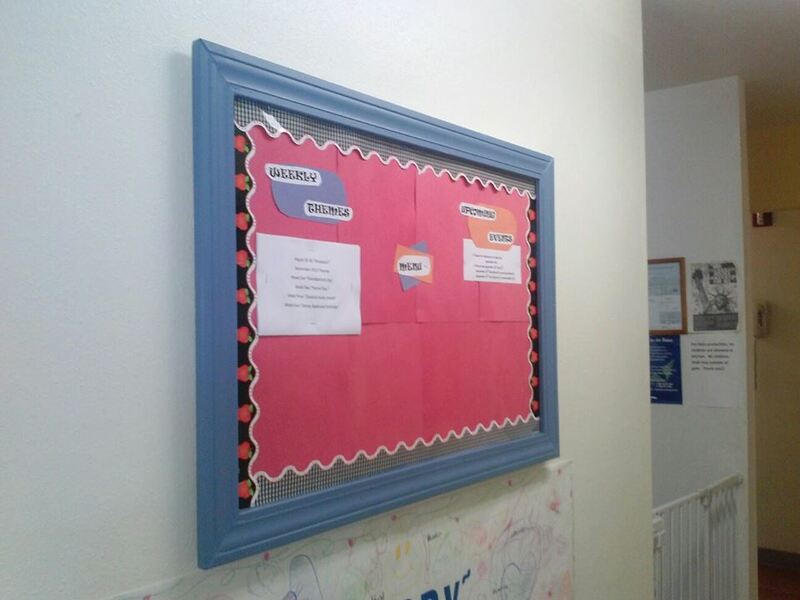 This bulletin board is found right outside the office and I love the framing on the board. I just love open ended art (no right or wrong way) just be creative. 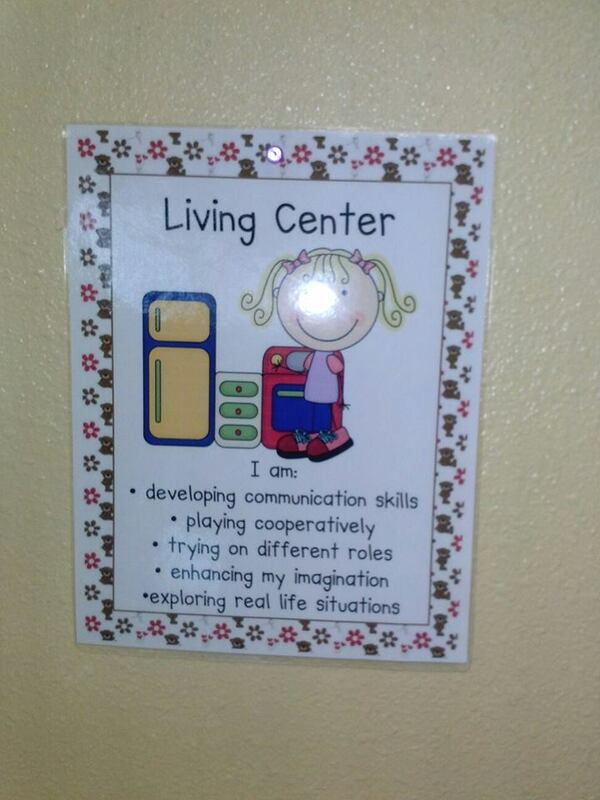 The center signs that you see above were recently added to the classrooms, to clearly define the learning centers. I love the fact that the learning objectives are added to the signs. I hope that you have been inspired by Sherry’s feature and I look forward to joining the discussion below. 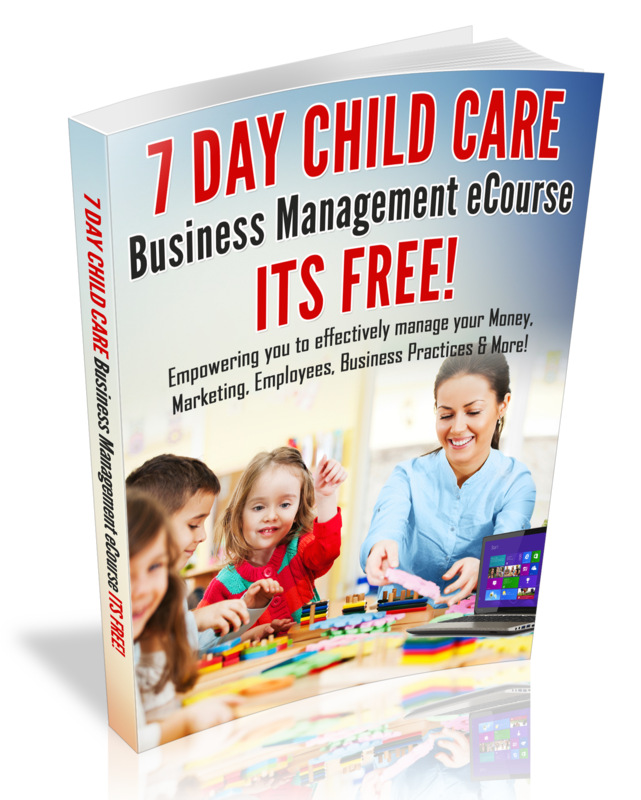 If you would like to find out more information about my Child Care Business Coaching, click here. CCBO Blog: Tell me about your childcare experience? Darlene DeStatris: I have been doing Childcare for 25 years. I have done Family Home childcare for 20 years and worked as an Infant/Toddler Preschool Teacher in 2 Daycare centers for 5 years. I have worked with children of all ages. 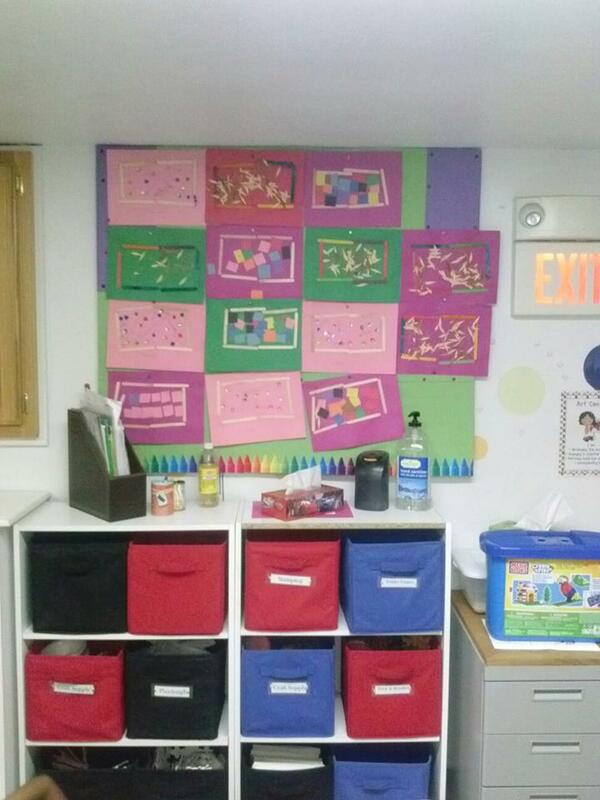 I also teach Preschool age children at our Church in Auburn Ma. I run a Christian Preschool that teaches a Bible base Curriculum and a school readiness program that prepares children for school. CCBO: How many children you care for and number of workers? 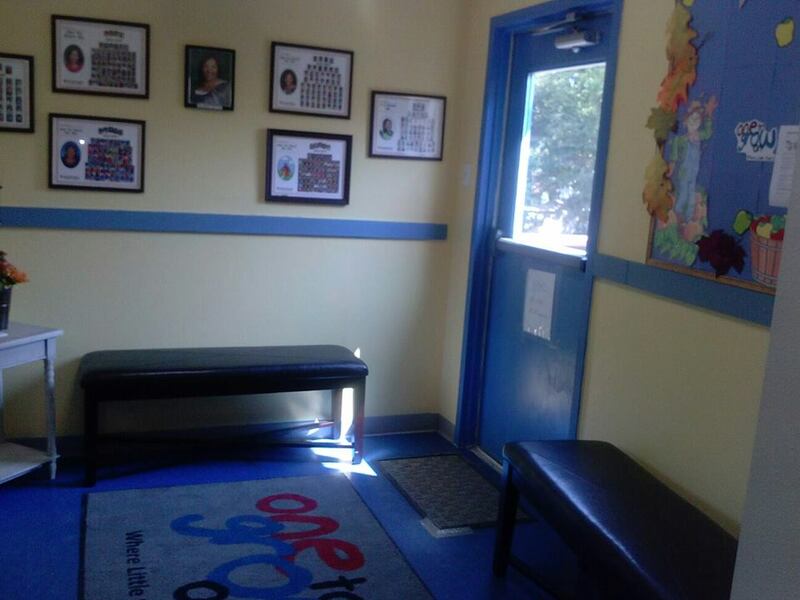 CCBO: Tell me about your recent room expansion and Why did you decide to build on to your home daycare? Darlene DeStratis: In the last year to year and half we were running out of room in the home. So after looking at different options to try to add more space , we decided to add more space by adding on a 4 season sun room to accommodate my preschool age children; plus use the smaller room for my 3 infant slots. CCBO Blog: Describe any Challenges you have faced and how you over came them? Darlene DeStratis: Some challenges I have had along the way; Keeping enrollment full at all times, Finances to keep business going, Running a Quality Preschool that parents and children would be excited about. Lastly being a Faithful, trust worthy, dependable provider that parents can count on and trust to care for their children. CCBO Blog: Tell the readers about Your dream to open a center and why you prefer a small center? Darlene DeStratis: I always dreamed of owning my own center. In 1999 my husband was on a leave of absence from his job for a medical reason. While he was home during that month we work talking and praying for some direction for the daycare. Darlene’s Vision: My husband shared with me what he had seen. That same night I had a dream similar to his vision. God showed me a building and as you entered the building their was a gold chandelier hanging /red carpet and a large painting on the white wall with Jesus with the children and the scripture underneath of Mark 10:14 which says Let the little children come unto me and forbid them not, for such is the Kingdom of God. I also saw a long hall way with doors to many rooms. End if Dream. I shared this with my husband the very next day; we both felt that God want(s) us to work together and open up a center for the children. We did work together for 1 year after that and then I hired my Christian friend to come work with me and my husband got a full time job with a Christian friend from church.In the meantime Tragedy came in our midst when my husbands dad became ill. They would not let him come home unless someone could take care of him. We knew what we needed to do. So I closed my daycare and we sold our house to move in with him and take care of him til he got well. we stayed for a little over a year. Dad got well and basically wanted us out. so we moved to an apartment just down the street from him. I got a job working at a daycare center just a couple of miles from my house; worked their for 31/2 years then left due to some problems with some of the employees. I went to work at another daycare for a while and filled in as a substitute teacher in different classes until I was hired full-time. I worked for the following summer after that. In the meantime my husbands Dad got sick again and was in and out of the hospital many times. He did end up passing away and we moved into his house. After a few months I decided It was time to reopen my daycare. Rename it and see where God leads me. I haven’t thought about opening a center for a while. All of a sudden I been thinking about it a lot. I saw a building I thought God was showing me but it was sold and a business moved in. So I let it go until now. So now I am looking into my dream of owning my own center again. I see God is opening some doors for me that were closed for a while and I am trusting in him to lead and guide me and prepare the way. I like small groups. I think they are easier to manage. So I have a dream of maybe 20-30 children for my center but who know what God has in store for me. CCBO blog: The steps that you are taking to see that dream come to pass? Darlene Destratis: The steps I am taking to make this dream come true is through prayer,Trust in God, help from reliable sources, looking for classes and steps that EEC requires to become a director, and begin to look and watch for a building God might be showing me that will be where my center could be. God is a BIG God and he can fulfill BIG Dreams! 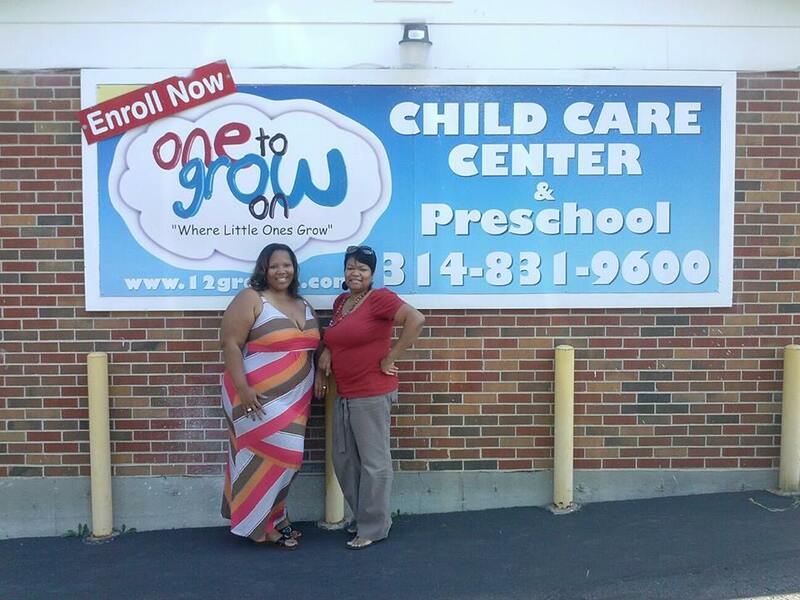 Do you desire to expand your home daycare to a center or start a chain of centers? Whatever your goals may be, I hope that Darlene’s story inspired you to start taking steps toward your dreams! If you want to start a center, I inspire you to join my upcoming 12-week mastermind club that will be forming in January 2013. Send me an email if you are interested. contact me at childcarecarenews@aol.com. Until then… prepare your more for a larger business in the 21-Day Mastermind eClub.